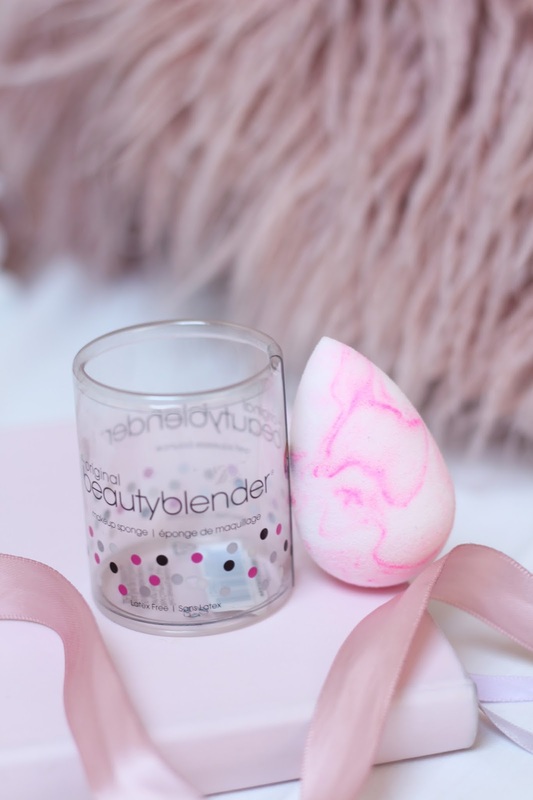 Now I’m going to guess you all have a Beauty Blender (or have atleast had one in the past)… Well, I think now is the time to repurchase because there’s a brand new, limited edition colour called swirl – can you tell I’m obsessed? It’s almost like a pink marble effect! I couldn’t do my routine without a Beauty Blender and this colour way has just made it 10x better. I’m actually going to be giving one away on my Instagram, so keep an eye out for that (going live tonight at 7pm). Onto another super hyped about product… The Charlotte Tilbury lipstick in Pillowtalk. At first I did like this although I wasn’t wowed, but I’ve started reaching for it more recently and I’ve grown to love it. It’s a very soft, wearable matte dusky pink shade that feels comfortable on the lips. If you keep up to date with my Instagram stories you’ll know that the majority of the time my nail polish of choice is Barry M Rosehip, well, it’s another Berry M Gelly paint but I’ve recently switched to using the shade Pink Lemonade. It’s a muted blush pink, and I can actually see myself wearing something similar for my wedding day! 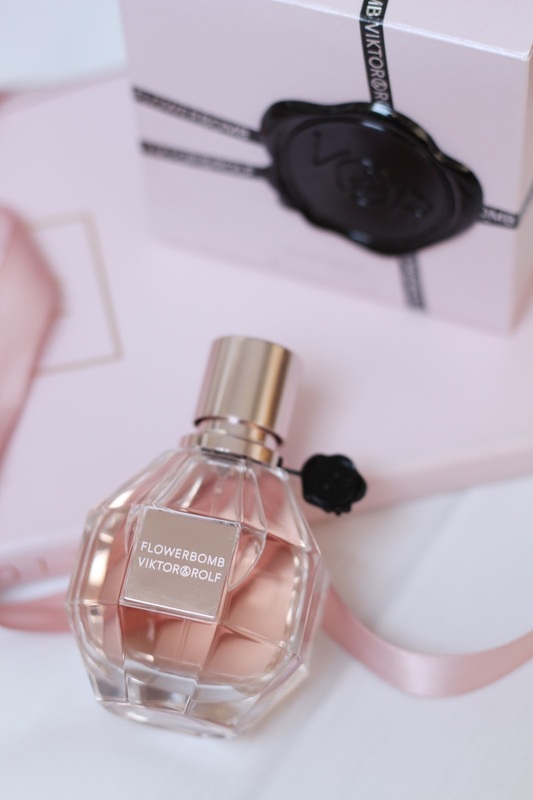 Lastly for beauty is the Viktor & Rolf Flowerbomb fragrance*. The scent reminds me of a sweet shop, it’s very sweet and definitely something a little different in my collection but for the day time during the summer months it’s actually really refreshing. It’s such a recognisable fragrance but I still don’t smell it on that many people, worth trying if you’re into your sweet girly scents. In terms of fashion I haven’t been buying much lately as the shops are starting to fill with autumn clothes already – isn’t it abit early? Anyway, I did manage to find this New York Slogan Jumper and it has been one of my favourite purchases of the month. I love how the crop fit makes it a little more flattering and perfect to wear with high waisted jeans, and it’s a bargain! 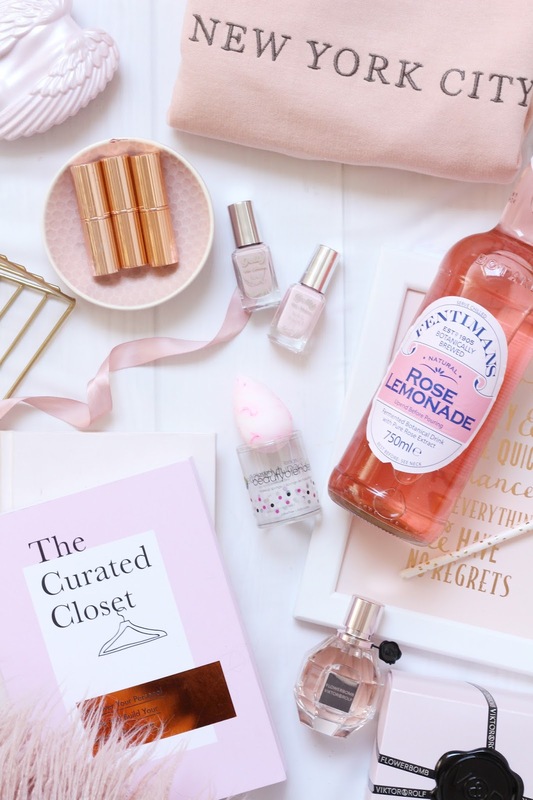 I’ve become slightly obsessed with Fentimans rose lemonade… It’s delicious! I’ve mentioned before that I’ve switched up my eating and instead of snacking on chocolate and sweets I’ve been having a small glass of this just to curb the cravings. It’s a lovely refreshing summer drink. A new book that I’ve been reaching for lately is The Curated Closet *, I haven’t read much yet but I really want to start thinking more about the purchases I make and declutter further, and I think it will be my best friend when it comes to that. Is there anything pink that you’ve been loving lately? This post may contain affiliate links… Products marked * are PR samples. "The Urban Decay Naked Heat Palette / Full Review + Makeup Look"
"Content Creators Who Inspire Me"